Senate at its 43rd regular meeting of April 14, 2016 has approve May 3, 2016 as resumption date for second semester 2015/2016. Students are advised to note and comply with the stated date. 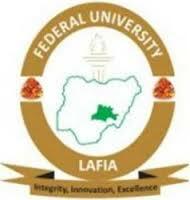 0 Response to "FULAFIA 2nd Semester Resumption Date 2015/2016 Announced"